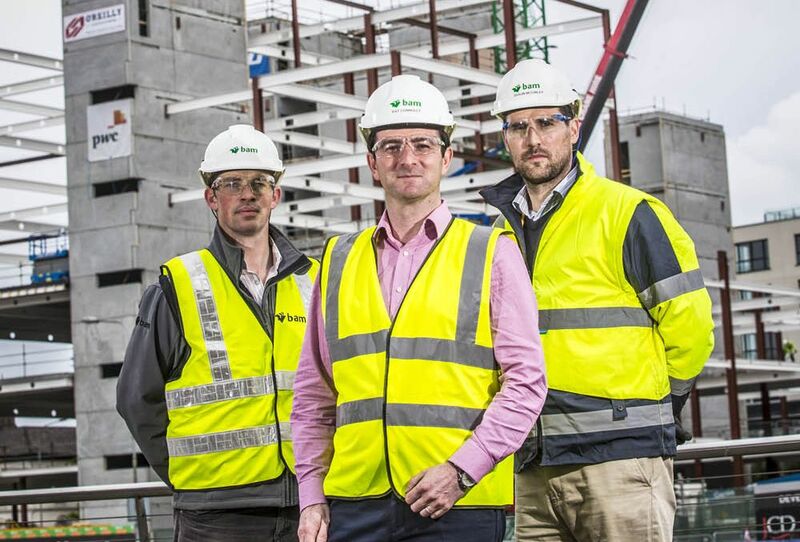 Construction work began late last year on this seven-storey €50m office block. It is the largest office block ever built in Cork’s city centre. It will accommodate up to 2,000 workers when it is complete in March 2016. Developer John Cleary who built the successful City Gate offices in Mahon is behind this scheme as well as the Cineplex redevelopment. 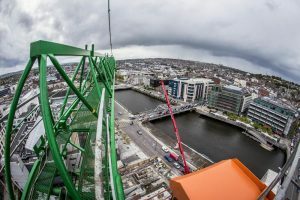 John Cleary Developments has already secured tenants for the new building, with safety firm Tyco and financial services company PwC set to occupy the building when it opens. The Albert Quay site was previously occupied by a single storey warehouse, and the site is prominently located in front of The Elysian and near the City Hall buildings. A double-level basement car park will accommodate 135 parking spaces. 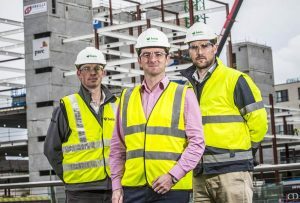 Our picture shows BAM staff (l-r) Declan Ryan, Site Engineer, Pat Connolly, Contracts Manager and Shaun McGinley, Project Manager, 28th April 2015.